The road from Gardiner, Montana at the North Entrance to Cooke City, Montana is open year-round to wheeled vehicles. Most roads into the park are closed in November and open again in late March or April, as conditions allow. Visitors can travel through the park in snow coaches or on snowmobiles with an authorized guide. Visitors may cross country ski or snowshoe in the park on miles of groomed trails, on any unplowed roads and in the backcountry. A backcountry use permit is required for all overnight trips. 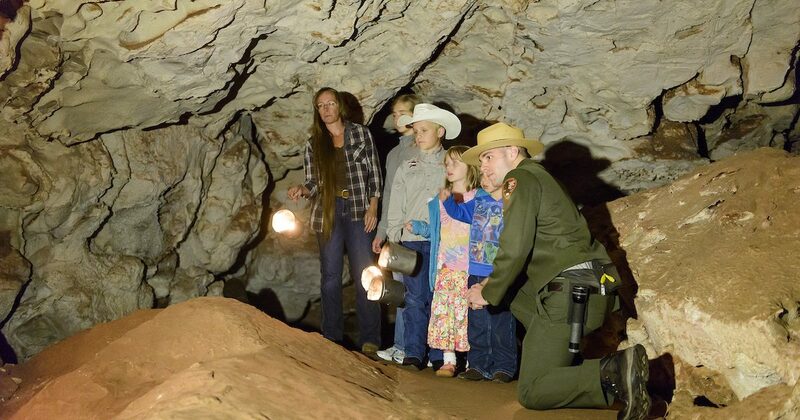 Contact a park ranger at a visitor center or ranger station before beginning a trip. Warming huts are available throughout the park. As the authorized concessioner in Yellowstone National Park, Xanterra Parks & Resorts will supply much of your food, lodging and entertainment options. Visit their website for more information. Many authorized concessionaires located in West Yellowstone, Montana, offer summer tours and winter excursions by snow coach or snowmobile into Yellowstone. The majestic 60-foot (18 m) faces of four U.S. presidents gaze out over South Dakota’s Black Hills. Recognised worldwide, Mount Rushmore National Memorial, stands as a symbol of American democracy. This national treasure represents critical times in American history. Glacier National Park, together with the Waterton Lakes National Park in Canada, form the world’s first International Peace Park. But in this rugged section of the Northern Rockies, exhilaration is the universal language. Mountain goats cling to craggy, glacier carved peaks. And drivers watch the scenery unfold beyond their knuckles as they drive along a road that defies words. The park was designated America’s 10th national park on May 11, 1910. If there’s one defining feature of this place it’s the engineering wonder known as the Going-to-the-Sun Road. 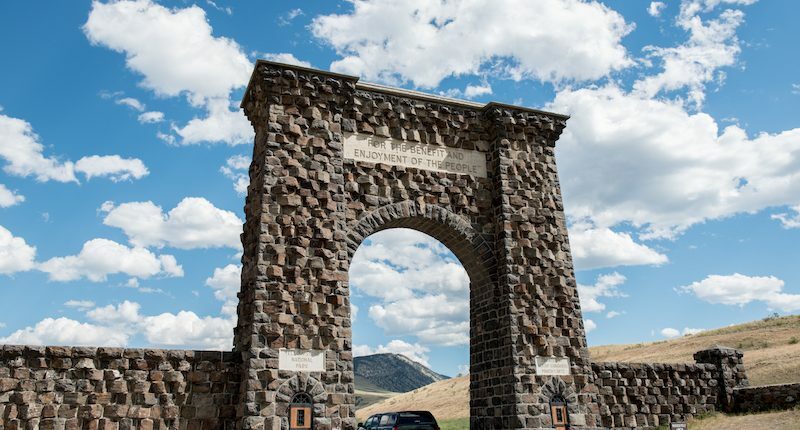 This spectacular 50-mile highway clings to the edge of the world as cars—and bikes—cross over the Continental Divide at Logan Pass. Along the way, don’t be surprised if resident wildlife shares the road with you. After all, the same remote solitude you’re seeking is what attracted them here in the first place. Take a guided tour in one of the iconic red buses, take a scenic boat ride on one of the pristine lakes or a horseback ride on a hidden trail. Unwind in a comfortable wooden chair at the Lake McDonald Lodge. As you pass through the gates and leave the park, you may also be a changed person. Inquire ahead of time as to the current status of the Going-to-the-Sun-Road because snow can often last well into June. Theodore Roosevelt National Park offers majestic Badlands scenery, abundant wildlife and all kinds of adventures of your own making. Roosevelt got his first glimpse or the wonders of this area as a young man. It didn’t take long for him to recognize the scenic beauty that surrounded him. He credits the time spent here as that which put him on the path to becoming president. The North Unit, accessible from U.S. Highway 85 south of Watford City, has deeper gorges and is heavily forested in places. The beauty and allure of the North Unit draws visitors year-round for sweeping vistas of this designated wilderness. A 14-mile scenic byway through the park brings visitors up close to the bison herds wondering through the rugged terrain. Millions of years of wind, water and erosion have created the chiselled spires, deep canyons and jagged buttes of Badlands National Park. 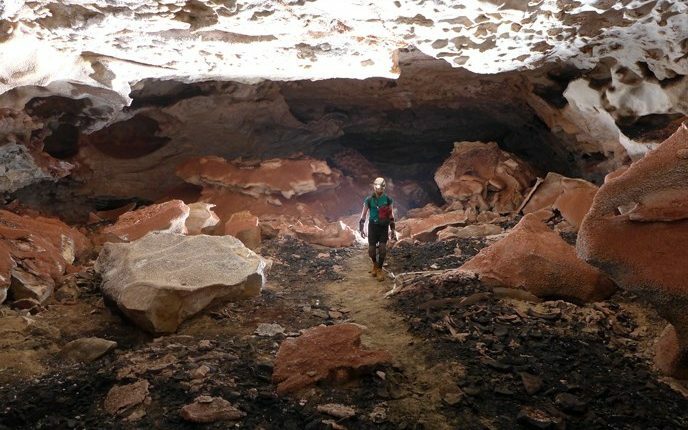 On-going rains, freezes and thaws have revealed millions of years of sediment that paint a colourful landscape on the prairies of southwestern South Dakota. 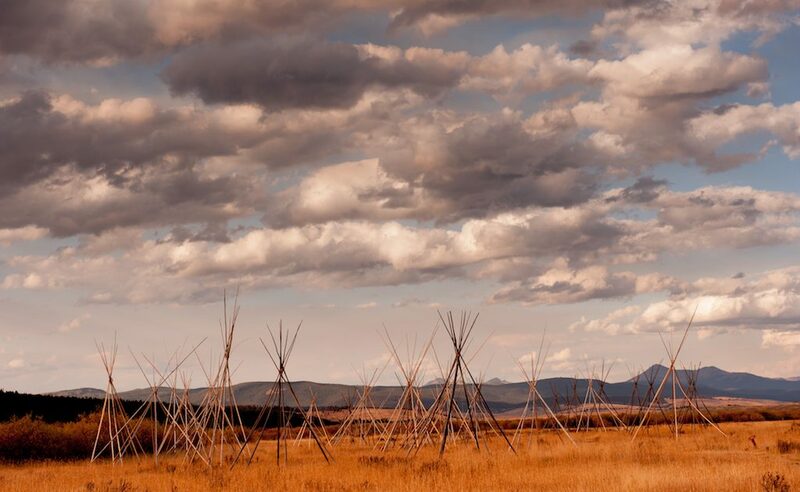 When the Lakota first encountered the striking, moon-like landscape, they aptly called the area “Mako Sica” or “bad land.” Early French trappers also described the area as “bad land” after difficult travels over the rugged terrain. Earthlodge people hunted bison and other game, but were in essence farmers living in villages along the Missouri and its tributaries. The site was a major Native American trade centre for hundreds of years prior to becoming an important market place for fur traders after 1750. Little Bighorn Battlefield National Monument memorializes the site of the Battle of the Little Bighorn which took place in 1876 between the United States Seventh Cavalry Regiment led by Lt. Col. George Armstrong Custer, and the Sioux and Cheyenne under the political and spiritual leadership of Sitting Bull. 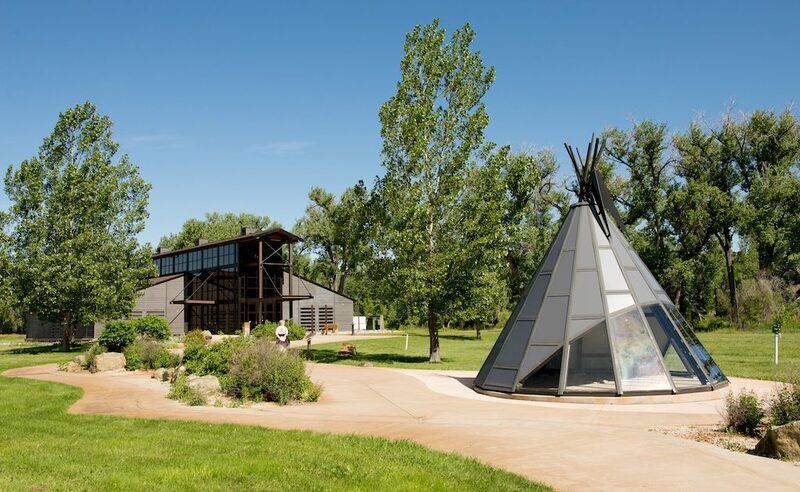 A Visitor Center and Museum feature exhibits on the history of the battle, Custer, weapons, archaeology, Plains Indian life, and a walking tour with interpretive markers. Look on the rockface for the remains of animal drawings created by people who used the area for rendezvous, campsites, and hunting. In 1806 Captain William Clark carved his signature and the date in this rock. It is the only site on the trail where visible evidence of the Lewis and Clark Expedition may be viewed by the public. 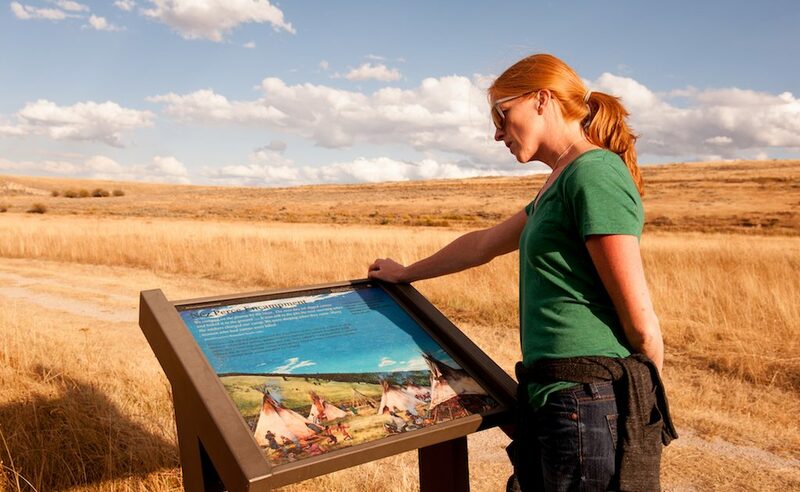 Learn about the journey of the Lewis & Clark Expedition at the Visitor Center located here. In doing so, the Army was enforcing a national policy of placing all American Indians on reservations to make way for States. Here, just before day break on August 9, 1877, military forces attacked the non-treaty Nez Perce as they rested after six weeks of conflicts and flight from military forces. Learn more about the Flight of the Nez Perce here.